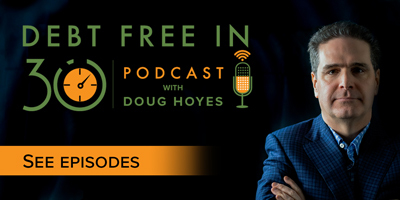 Today’s show is our 100th episode of Debt Free in 30. To celebrate this milestone, I broke away from my usual format. No guests, no specific topics. Instead, I shared my top 30 tips to help you avoid unwanted debt. Many of these tips are based on the topics I’ve covered in other episodes and they are also tips we provide our clients during their credit counselling sessions designed to help them build stronger money and debt management skills. Credit cards should be a substitute for cash, not a way to borrow money. If you want to purchase something for $1000, it makes more sense to buy it with a credit card than to carry $1000 in cash. If you carry the cash, there is a chance you could lose it or be robbed. Go ahead and take advantage of the convenience of a credit card, just be sure to pay it off once you get home. Where you get into problems with credit cards is when you use them as a substitute for borrowing. Credit card debt is becomes a permanent problem for many because the interest rate is very high and minimum payments don’t allow you to pay down any of the principle. Keep only one or two credit cards. Don’t call it a credit card – call it a debt card. A credit card is not cash and if you carry a balance it’s debt. If you call your credit card a ‘debt card’, would you think twice before using it? Never use payday loans to keep up with debt payments – you are delaying the inevitable. Using a payday loan to pay the interest on your other debts just delays the inevitable. There are better alternatives to payday loans if you have a financial emergency. If you a struggling with multiple payday loans like many of our clients, consider your options to eliminate payday loan debt. Don’t balance your budget with credit. If you can’t afford it, don’t buy it. Save up for it. Think ahead – know what expenses are coming up & prepare for them such as Christmas, birthdays, and car repairs. Be aware of your spending habits – avoid bad choices. I remember one person in particular who was spending $300 a month on magazines. I said hey, that’s insane. Go to the library and read them for free, get that app on your phone so you can read them for a lot less. Find a better way if that’s where you’re spending a lot of your money. Another example is visiting the coffee shop every morning when you could make your coffee at home for a fraction of the cost. By being aware of your spending habits, you can avoid bad choices. Smaller is better. Buy a smaller house and buy a smaller car. You’ll save on the purchase price and ongoing costs. Shop around and buy everyday items that you need like toilet paper when its on sale. Look beyond the monthly payment. What’s the interest rate? How much will you pay in total over the life of the loan. Read the fine print on any debt or contract you sign. For instance, rented water heaters often have a buyout/payout clause at the end even if you return a 15-year-old unit. Don’t miss payments. Late payments & added interest costs add up quickly. Take this as a sign you either need a better plan or are spending too much already. Be aware of hidden debt. If you’re self employed a tax debt can creep up if you are not making your monthly installments. Know who you owe – make a list. Figure out what your debt is costing you each month. Make a plan to pay off your debt. Write it down. Start by paying the highest interest rate debts first. Avoid the minimum payment trap. Where possible, pay more than the minimum. Consider alternatives. Can you borrow what you need from someone else? Can you postpone the purchase? Or, can you get something else or do without it? Know your real goals. Avoiding debt is the best way to save money for your future. Close your home equity line and reduce your open lines of credit – they are too tempting. If you have more debt than you can handle, consider your debt relief options and do your research. A consumer proposal is the number one way to get out of debt, if you are not able to do it on your own. Don’t co-sign debts. You are 100% liable for the amount owed if your co-signer defaults on the loan. The debt is not split 50/50 between the both of you. I’ve done lots of bankruptcies over the years for people who were perfectly good at managing their own finances but they co-sign for somebody else, that person wasn’t able to pay the debt and as a result, boom, they’re hit with the debt. Don’t borrow to loan your children money. If you want to help your children, loan them cash. Do not borrow money on your own line of credit. Pay yourself first. It’s an old rule of thumb for a reason. Even 2-3% is good, if you are not able to save 10%. Build an emergency fund early and be sure to replace what you use. If you want credit again in the future, take steps to rebuild your credit now. You can review your credit report once a year for free. Curious to learn more about the 30 tips? Listen to the podcast or read the transcript below. This is episode 100 of Debt Free in 30. Our first episode was broadcast back in September 2014, and we aired an episode every week for the last 100 weeks. I’ve had lots of great guests on the show and we’ve covered a lot of topics. And today to celebrate episode number 100, we’re going to do something completely different, no guest, no specific topic, instead I’ve got 30 practical tips to help you avoid unwanted debt and live debt free. Many of these tips are based on topics we’ve covered over the last 99 episodes here on Debt Free in 30, these are tips that have helped many of my clients and I think they can help you too. So, we’ve got just under 30 minutes to go through 30 tips so let’s get started. First up some tips on credit cards. Credit cards are a very expensive form of borrowing. If you have good credit your mortgage interest rate may only be 2 or 3 or 4% but a credit card from a bank can easily carry a credit rate of 19% and a retail store credit card can have an interest rate of 30% or more. 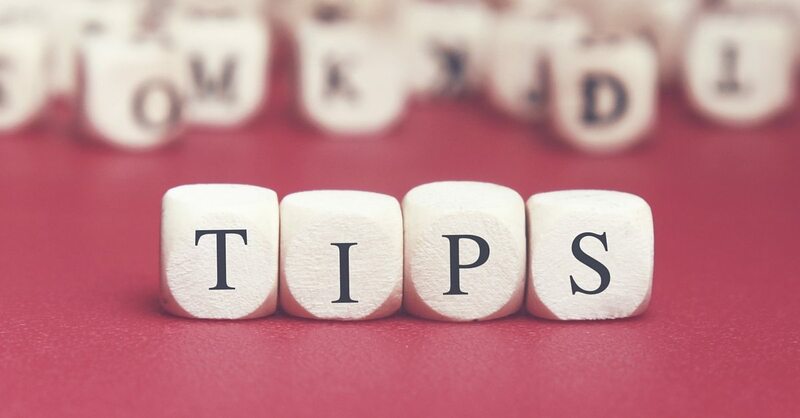 So, here’s my first tip and this may be the most important tip of the day, tip number one credit cards should be a substitute for cash, not a way to borrow money. So, think about what I’m saying there. I understand why if you’re going to go to the store and buy something that costs $1,000, you don’t want to have a thousand dollars in $20 bills shoved into your pocket. You might lose it, you might get robbed, not a good idea. So, paying with a credit card makes perfect sense, it’s safe, don’t have to worry about it. That’s fine if you have the $1,000 sitting in your bank account, using a credit card as a substitute for that cash is fine. You go to the store, you make the purchase, you come home, at the end of the day, at the end of the week, at the end of the month whenever your credit card bill is due, you’ve got the money sitting in your bank account, no problem, you transfer it to your credit card, debt is paid, never have any interest, that’s fantastic. Where you get into problems with credit cards is when you use them as a substitute for borrowing. So, I want to buy that $1,000 thing and I don’t have the cash to do it, so I use my credit card to borrow the $1,000 to buy that item. That’s a problem because credit card interest rate is very high. The interest rates on credit cards are very high, that’s not how you want to be borrowing. If you really want to borrow money and you need to borrow money, fine, go to the bank, negotiate a line of credit, a term loan, whatever. The interest rate will be much more reasonable, that’s how you borrow if you have to. Using a credit card to borrow is very dangerous, which brings us to tip number two, never carry a balance on a credit card. Again, pretty obvious if the interest rate on your department store or gas store credit card is 30%, carrying a balance is hugely expensive. So you want to find ways to avoid that, again either get a loan at the bank at a much lower interest rate or don’t spend the money if you can’t afford it, don’t use your credit card as a way to borrow, never carry a balance on a credit card. Tip number three, keep only one or maybe two credit cards. I’ve dealt with lots of people over the years who’ve got five, six, seven, 10 different credit cards and they’re carrying a balance on each of them. Again, that’s totally crazy. And I understand why that might be so, you might have a credit card that you use for business purposes, that’s where you fill your expense report with your boss every week, maybe your company covers that credit card. Maybe you’ve got a different credit card because you earn a lot of points on it. Maybe one of them you get points at the grocery store, another one you get points at the gas station, okay. It gets to be pretty complicated though having multiple credit cards. If you’re going to use a credit card, figure out the one that works best for you, that has the best features, the best rewards, cash back, lowest fee, whatever it is that works for you and use that as your credit card. If you want to have a second credit card as a backup, okay I understand it. I’ve had cases where I try to use my credit card and that bank’s machine happens to be down but another one is working. Okay, I can understand having two – there may be circumstances where that makes sense. But having 10 of them and trying to juggle all the balances on them and know when the payments are due, again pretty dangerous not something I recommend. And it’s also probably not helping your credit score if you have multiple credit cards carrying a balance. So, tip number three only one or two credit cards at the most. Tip number four, don’t call it a ‘credit card’, call it a ‘debt card’ because that’s really what it is. We’ve been convinced that a credit card is a good thing, we all know that hey, give credit where credit is due, credit is a good thing. We’ve been conditioned to believe that credit is a positive thing. Well, okay but if you said to yourself, I’m using my ‘debt card’ and every time I go to the store and put my credit card in the machine, I’m actually putting my debt card into the machine, I’m actually borrowing money every time I do it. Would that make me use my credit card a little bit less? Maybe, I think it’s a great tip to change the psychology of how we think about credit and debt, call it a ‘debt card’. The first four tips were about credit cards, I’ve got one tip on a topic we’ve covered a lot on this show and that’s payday loans. Tip number five: never use payday loans. Don’t use them to keep up with debt payments, because all you’re really doing is delaying the inevitable. If you’ve got a whole bunch of debt and our study shows that people that have payday loans also have a lot of other debt, then getting a payday loan to pay the interest on that other debt doesn’t make any sense at all. So, avoid payday loans, there is always a better solution. And if you like to hear more go to our website at hoyes.com, type in the word payday loans, you’ll see all sorts of different resources on it. And in fact last week’s show, show number 99, we actually talked about payday loans and payday loan solutions so there’s lots of good information for you there. Tip number 6, we’re going to start covering some tips on spending now, tip number six, don’t balance your budget with credit. What am I talking about? Well, I bring in $3,000 a month, I spend $3,500 a month, where does that extra $500 come from? Well, it comes from credit. I borrow $500 every month. Now you might not think you’re borrowing, you don’t actually realize it because well, I use my credit card and my balance is going up by $500 a month, plus interest, but I don’t notice that. That’s a mistake. Don’t balance your budget with credit, or I guess a better way to say that would be don’t balance your budget with debt. Keep track of what you’re spending every month and don’t spend more than you’re bringing in. If you have to use debt to cover your expenses, you’ve got to make some changes, you’ve either got to increase your income or reduce your debt, those are the only two choices you’ve got, which leads to tip number seven, if you can’t afford, it, don’t buy it. Simple obvious advice, save up for it and then buy it, that way you can’t get into trouble. Tip number eight, think ahead, plan ahead, know what expenses are coming and prepare. I say this to a lot of people, we all know when Christmas is coming this year, it’s December 25th, it’s the same day ever year. You know exactly when everyone in your family’s birthday is because it’s the same day every year. You can plan in advance for those things. You know when Thanksgiving is going to be, when you’re going to have to buy the turkey, these are regular events. Now there are some events that you don’t know when they’re going to happen. You don’t know when your car is going to need to be repaired, you don’t know when you’re going to get sick and be off work for a couple of weeks and need some extra cash ’cause your pay cheque isn’t coming in. That’s fine, you can set aside some money to do that but think ahead to all the things that could happen in your life and certainly the ones that are easily predictable and be prepared for that. Tip number nine, when it comes to spending be aware of your spending habits, avoid bad choices. I’ve met with people in the past and I remember one person in particular who was spending $300 a month on magazines. I said hey, that’s insane. Go to the library and read them for free, get that app on your phone so you can read them for a lot less cost. Find a better way if that’s where you’re spending a lot of your money. Another common example is hitting the coffee shop every morning. Again, nothing wrong with that, coffee is not illegal, I’ve got a cup of coffee right beside me as I’m recording this. But there are other ways to have your coffee if you can’t afford that cup of coffee every morning. So, maybe it’s making a pot of coffee in the morning and drinking all you want at a lot less cost. Being aware of your spending habits, allows you to avoid bad choices. Tip number 10, small is better. And I know we’re conditioned to believe the opposite of that but buying a smaller house or a smaller car saves you a huge amount of money in the long run. And I know with the real estate market that way it’s been in 2013, 2014, 2015, 2016 in places like Vancouver and Toronto, you want to buy places as big as you can because it will go up more, the bigger it is. Okay, until it isn’t the case. The problem with a big house is it comes with a big mortgage. The problem with a big car is it costs more, you’re going to pay more for gas, you’re going to pay more for the, potentially the maintenance cost but certainly the loan cost of the car is going to be more if you’ve bought a more expensive car. So, figure out what is the smallest house, apartment, car I can get away with and go with the smaller one. You’ll save on the purchase price and a whole lot more money in your pocket is always better. Tip number 11 when it comes to spending shop around. And again, this may seem obvious but when things are on sale they are a lot cheaper. I was at the big box store a couple of weeks ago and they had toilet paper on sale. It was $4.99 now, the regular price is somewhere between $10 and $12 so it was 50% off. So, if you can think ahead and have a little bit of extra money in your budget, when a sale like that comes up, great I can buy some extra, stock up on it, and save a huge amount of money over the long run. And of course toilet paper is just one example but anything that will keep for more than a few weeks, well if you can buy it at a cheaper price when it’s on sale, then that obviously makes sense. So, shopping around and knowing when things are on sale and being able to take advantage of it by having the cash is a good idea. And there’s certainly lots of apps that will help you. We talked about that on the show before, apps that will tell you what sales are coming up, what sales are at the stores right now, shopping around can save you a lot of money. Tip number 12, look beyond the monthly payment. You go and you’re going to buy a car and the salesman says oh it’s going to be $350 a month and you go hey, great that’s fantastic, I can afford $350 a month let’s do the deal. Yeah, but there’s a lot of other questions you need to be asking yourself. What’s the interest rate? How much will you pay in total over the life of the loan? Because there’s a big difference in a loan t that’s $350 for four years and a loan that’s $350 for seven years, yeah, I know they’re both $350 a month but if all you’re focusing on is the monthly payment, you’re missing the point. You want to know what am I paying in total, what’s the interest rate and of course what other charges are built into that. So, look beyond the monthly payment, there are other numbers that are probably of even greater importance. Tip number 13, read the fine print. If you’re borrowing money or singing any kind of contract, read the fine print. Rented water heaters often have a huge buy out or pay out clause at the end. So, even if you have that water heater in your house for 15 years, there may be a $500 charge for them to come and pick up your old water heater if you want to get rid of it. So, before signing a contract, actually read it so that you know what’s in there and then you can decide in advance whether it makes sense. And don’t be pressured when the salesman is sitting there to sign whatever they put in front of you. Read the fine print, take your time, you’ll save yourself some money in the long run. Tip number 14, don’t miss payments. And again, sounds obvious but late payments and added interest costs add up very quickly. So, if you are getting hit with late payment charges or service fees, take that as a sign that you either need a better plan, a better budgeting strategy or you’re just spending too much. An NSF charge on your bank when you bounce a payment, can add up to more than what you are paying on the original payment. So, if your hydro bill comes due and they try to take the payment out of your account and the money isn’t there, your $100 hydro bill all of a sudden becomes $150 when you add in the bank charges. So, don’t miss payments, again plan ahead. If you’re scheduling things like hydro payments well, see if you can schedule them on the day you’re payday comes out. And that way you’re much less likely to miss a payment, the money’s in the account when they payments come out. Tip number 15, be aware of hidden debt. I see this a lot with people who are self employed. When you’re an employee you get a pay cheque every two weeks, taxes, CPP, EI, everything is taken off that cheque. You don’t have to worry about it. But when you’re self employed, you are responsible for paying your own taxes, you’re responsible for paying your own share of CPP, it’s not coming off your cheque every month because you don’t get a cheque every month, you get paid whenever you do work, whenever your customers pay you. So, be aware of that hidden debt that you have to the government. My advice if you’re self employed is talk to your accountant, figure out what you are likely to owe at the end of the year, and then divide it into 12 equal payments and then send that money to the government every month. That way at the end of the year, when you file your taxes, the debts are already paid, don’t have to worry about it. Let’s do some tips now on getting out of debt and becoming debt free. Tip number 16, know who you owe. If you’ve got a bunch of debt, make a list. I have people meet with me all the time and I say to them okay so tell me who you owe money to and they go well, I think there’s this and I think there’s – they’re not really sure. You can’t attack your debt if you don’t know who you owe the money to. So, make a list, write it down, who do you owe the money to, what’s the interest rate, how much do you owe them and what’s the minimum payment each month? When you see it in black and white, right in front of you, it’s a lot easier to make a plan to deal with it. Number 17, figure out what your debt is costing you each month. Well, once you’ve made that list and you add it up, you can say oh my goodness, it’s costing me $2,000 a month just in interest payments. When you actually know that number,that will motivate you to make some changes. What are the changes? Well, tip number 18, make a plan to pay off your debt, write it down. Tip number 19 is start by paying the highest interest rates debts first. Now I know there’s a lot of controversy on this and you can look back to one of our previous podcasts that I did on this, I personally believe you should start with the highest interest rate debt first, because that’s the most bang for your buck. Paying off a credit card that carries a 30% interest is better than paying off your car loan that carries a 4% interest. Now I understand there are alternate viewpoints on this. Some people say well you should pay off the small one first ’cause that’ll give you a sense of accomplishment. Okay, fine if you owe $100 on an old phone bill, fine pay it off, get it out there, one less thing to worry about. I’m not too worried about that. Other people should say well you should pay off callable debt first so things like a car loan, well if you don’t pay the car loan, the bank has the right to seize your car and repossess it. Okay that is true but I still think it’s better to keep your payments up to date on your car absolutely so you don’t lose it but I still favour paying off the highest interest rate debts first because that’s where you get the biggest bang for the buck. Tip number 20, avoid the minimum payment trap. Where possible, pay more than the minimum. Again, I see this all the time, people say well, I’m doing fine, you know, my minimum payment’s $300 and that’s what I paid. Okay, but all you’re really doing in most cases is covering the interest. So, where possible cover the minimum. And again, back to the previous tip, I would be paying more than the minimum on my highest interest rate debt so that I can chip away at that one first. Tip number 21, consider your alternatives. So, if you’ve got a bunch of debt, can you borrow what you need from someone else? Can you postpone the purchase of that thing that you were going to buy? Can you get something else or do without it entirely? Often we get caught in the zone of this is what we have to do. I meet with all sorts of people who have an expensive car and I say to them, well what are your other alternatives? Well, I don’t know, I bought a brand new car, I just assumed that’s what I had to do. Well, no there’s lots of alternatives, you could buy a used car, you could take public transit, you could car pool. I knew a lady who didn’t own a car but once every two weeks she go to the car rental place, rent a car from 9-5, so she didn’t pay any overnight rates, was relatively inexpensive. And once every two weeks she did all her running around, went and visited her mother, did her grocery shopping, had all her doctor appointments and the rest of the time she just walked or did public transit. So, she had the use of a car but at a much lower cost than actually owning a car. That’s a classic example of knowing your alternatives. Tip number 22, know your real goals. Avoid getting in debt in the first place is the best way to save money for your future. So, if you’re real goal is I want to own a house some day, then saving money now and avoiding debt now is the only way to actually get there. So, know your real goals, your real goal isn’t to go on that vacation next week. Your real goal is to buy a house three years from now. That will help focus you on what you need to spend your money on. Tip number 23, close your home equity line and reduce your open lines of credit, they’re just too tempting. Having a line of credit where I can instantly push a button on my computer and get access to five thousand dollars is just too tempting. Unless you really think you’re going to use it, reduce or eliminate whatever lines of credit are out there so you can’t be tempted. Tip number 24, if you have more debt than you can handle, consider your options, do your research, which leads me to tip number 25, a consumer proposal is now the number one way to get out of debt if you can’t do it on your own. You should understand what a consumer proposal is and how it can help in your situation. We’ve done shows on this before and again you can go to hoyes.com and do a search. But a consumer proposal really simply is a deal that we help you negotiate with your creditors to pay off all of your debts. In most cases you’re paying off at much less than 100 cents on the dollar. The average proposal is somewhere between 30 and 40 cents on the dollar. So, if you have $100,000 in credit cards and unsecured debts, payday loans, income taxes and so on, it may be possible to work out a payment where you pay back 30 or $40,000 and eliminate the rest of your debt. That for some people is a better option than struggling to make huge payments over an extensive period of time. It’s just a better solution in a lot of cases. I’ve got five more tips. We’re going to take a quick break and come back with those. You’re listening to our special 100th show right here on Debt Free in 30. It’s time for the Let’s Get Started segment here on Debt Free in 30. Today is show number 100 and we are going through 30 tips to help you avoid unwanted debt and to live debt free. I’ve got five more tips for you, two tips to start on staying out of debt, tip number 26, don’t co-sign. You co-sign someone else’s debt and they say oh don’t worry, we just need your signature and I’m good for it. Yeah, if they can’t pay the loan, then you are 100% responsible for it. I’ve done lots of bankruptcies over the years for people who were perfectly good at managing their own finances but they co-sign for somebody else, that person wasn’t able to pay the debt and as a result, boom, they’re hit with the debt. So, if you want to avoid unwanted debt, don’t co-sign. So, how can you help your friend, your neighbour, your family member, your mother, your son who needs help? Well, you say to them well I can’t co-sign your loan, but look I got $2,000 in my savings account, here I’ll give you that, I’ll loan you that. At least by doing that, you only lose $2,000. You only lose the money you give them, nothing more. Co-signing a $30,000 car loan puts you at much greater risk, which brings me to tip number 27, don’t loan your children money. Okay, I know that sounds pretty harsh but again, I’ve done lots of bankruptcies over the years for parents who help their kids out to the tune of 20, 30, 40, $50,000, their kids weren’t working, they were helping pay their mortgage, pay their rent, whatever and as a result, now the parents are in such significant debt that they had to go bankrupt. So, again, if you want to help your children, it’s your choice, it’s your money, give them cash then. Don’t be borrowing money on your own line of credit to give your kids. Your kids are better off selling their house, moving to a smaller place, moving back in with you if that’s what it’s going to take, and that way meet – they’re not dragging you down. So, I am not a big fan of loaning your children money unless it’s money you’re fully prepared to lose because that may be what happens when you make a loan. Three more tips and these are tips about savings and rebuilding after a financial problem. Tip number 28, pay yourself first, this is classic old school advice and it’s still very good advice, if you can’t save 10%, well even 2%, 3% will do. Now I’m only giving you this advice if you have already cleaned up your debt. It doesn’t make a whole lot of sense in my view to be putting $100 a month in a savings account that pays 0 interest when you’ve got a credit card that’s charging you 30% interest. 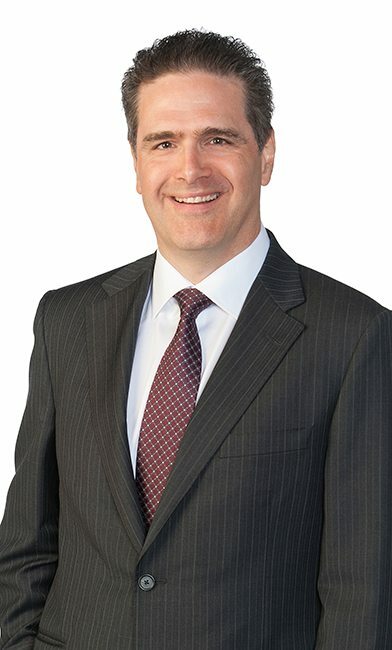 Pay off your debts first but once you do, your first priority should be paying yourself first, take some of the – take a preset amount off every pay cheque, tuck that away into a savings account, into a TFSA, into a RRSP, do your research, talk to your financial advisor and see what makes the most sense for you. That’s the way you get ahead in the long run. If you can’t save 10% like I said, 2%, 1% whatever you can, but that’s how you get started. Tip number 29, build an emergency fund, you want to do it early. Ask yourself this question, if I was to get laid off tomorrow, if I was to lose my job, if something happened and I wasn’t going to get paid for the next month would I be able to survive? A lot of people today well sure I got a line of credit, I’d be able to survive for months. That’s not what I’m talking about, what I’m talking about do you have cash tucked away again in a savings account, in a TFSA or somewhere where you can access it in the event of a problem in the future. That’s the whole point of an emergency fund. And you want to set up that emergency fund early. Sometimes an emergency fund is for a very specific thing, I know my car’s getting old, I know at some point over the next year I’m going to have to pay $1,000 to get it fixed. Okay, well start setting that money aside. The key is do it early. And again, you want to have your debt paid off before you do this ’cause again it doesn’t make a whole lot of sense to be earning zero interest in a savings account where your emergency fund is if you’ve got huge other debts. Final tip of the day, tip number 30, if you want to get credit again in the future, take steps to rebuild your credit now. We’ve done entire shows on credit rebuilding, conceptually it’s pretty simple. What you want to do is start by getting a copy of your credit report and reviewing it. You can get a copy a year for free from both Equafax and TransUnion, take a look and see what’s on there. And clean up the old things, if you’ve got an old cell phone bill from a year ago that’s $100, well get it paid off, get it off there. And then take steps to rebuild your credit. So, obviously paying off debt is the first step, the second step will be to build up some savings and the third step will be to re-establish credit and again, you can go to hoyes.com and we have information on how to do this, it may be getting a small secured credit card, a small unsecured credit card, it may be getting an RRSP loan. There are a number of things you can do to gradually rebuild your credit, if you want credit again in the future. If you said to yourself hey look, I’m never borrowing again anyways, I don’t need it, well then fine don’t focus on that at all. But if you’re goal in the future is to finance a car, buy a house, then having good credit is important, it’s something you can’t do in five minutes. You’ve got to start now, with a plan and gradually work towards it but it is possible, I’ve done hundreds of bankruptcies over the years for people who then two or three years later, were able to buy a house, it is possible. That was the Let’s Get Started segment. I’ll be back to wrap it up. You’re listening to Debt Free in 30. Doug H: Welcome back, it’s time for the 30 second recap of what we discussed today. This was episode 100 of Debt Free in 30. And on today’s show I gave the best tips we’ve discussed over the last two years right here on Debt Free in 30. I shared tips on credit cards, payday loans, spending and tips to get out of debt, become debt free and tips to stay out of debt. Our final three tips were on saving and rebuilding your credit after eliminating all of your debt. That’s the 30 second recap of what we discussed today. I hope you enjoyed the first 100 episodes of Debt Free in 30. My goal with this show was to present different points of view and I think we’ve achieved that goal. I’ve had the great pleasure of interviewing a wide range of guests and know I’ve learned a lot from them. So, what’s the plan for the next 100 shows? For the next four shows, for the month of August, we’ll be re-broadcasting four of our most downloaded shows. If you’re new to the show, these are the shows most downloaded by our listeners. So, that’s a good indication that they’ve got lots of great content. Starting in September I’ll be back with all new shows and a slightly different format. I’ll have a new show for you every week but we’ll change it up a bit. Some of the shows will be short and deal concisely with one topic. Other shows, when we’ve got a great guest with lots of ground to cover may be a bit longer than 30 minutes. I think you’ll like it.